Noroeste/Gallery was born in Santiago in 1994. 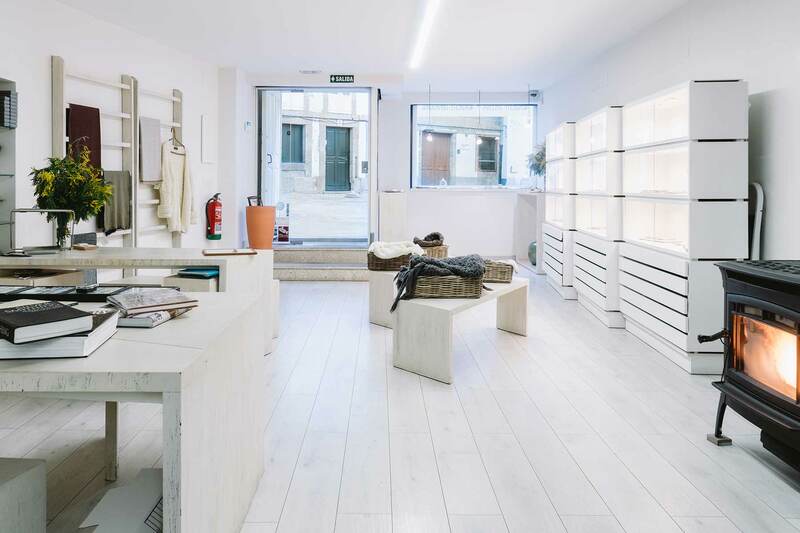 Its founders, Marian Diéguez and Antonio Ibáñez, had a wide experience as designers, producers, sellers and exporters of contemporary jewellery at their gallery in Madrid. Their original idea was to present at the gallery their own work and the work of other relevant authors from the Northeast of the Iberian Peninsula: That included Galicia, of course, but also Northern Portugal, Asturias, León… Hence the name chosen for the gallery, a word that is exactly the same in the three languages: Galician, Portuguese and Spanish. Soon these limits were surpassed. For years, they set up two or three annual exhibitions presenting the work of prominent international authors, and these would alternate with exhibitions introducing up-and-coming artists who were commencing their journey towards a promising future. Jose Castro, now company director, is a good example of those new talents “born” at Noroeste. In 2010, Noroeste opened its own workshop, unifying this way the existing individual workshops of its members. Visible and open to the public, customer acceptance was so good that in 2013 we decided to take it one step further and bring together Noroeste/Gallery and Noroeste/Workshop, opening them on the same premises so as to offer a comprehensive view of the whole process of elaboration of our pieces and unveil a type of work that is sometimes too inaccessible. This is how our current space was born.